The entertainment industry is constantly evolving, creating new risks for your business. Entertainment insurance is an effective way to protect your company for continued success. Whether you compose plays and concerts or produce television shows or movies, knowing what risks could hurt your business and how to best handle them can prevent financial distress no matter what type of situation life throws at you. With the help of an entertainment insurance broker, you can obtain affordable insurance policies that protect your passion projects and livelihood. TV, movies, and film production insurance is a must-have for professionals in the entertainment industry. 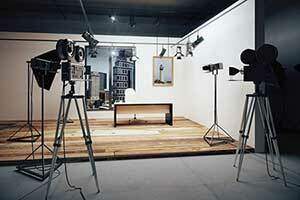 From commercials and music videos to documentaries and short films, there are policies for all budget sizes. Film and video production poses some unique risks relating to hazardous stunts and activities. Entertainment insurance can cover a wide range of on-screen stunts, such as pyrotechnics, fight scenes, fireworks, water scenes, parachutes, animals, weapons, and more. An entertainment insurance broker can help you find a competitively-priced policy for your next film, whether you are working on a low-budget one-day shoot or have a high budget for a special feature project. Maintain peace of mind during your special events knowing that you are protected with special event insurance. From concerts and weddings to ceremonies and festivals, an entertainment insurance broker can connect you with the proper insurance to ensure that your event is protected, no matter how big or small. Special event insurance policies may include a variety of coverage, such as commercial general liability, liquor liability, and losses from cancellation for reasons such as adverse weather conditions. Coverage may also include other liabilities such as automobile and property damage, as well as destruction or loss of rented or owned equipment, wardrobe, or sets. Producing concerts or other live performances can be a lengthy and complex task. Ensure that you are well-protected by maintaining comprehensive insurance coverage for any unforeseen damages or liability. Whether you are hosting a one-time event or plan to have live performances in multiple locations, entertainment insurance is a must for every event. Pricing is dependent on a wide range of factors, such as the location, number in attendance, the type of event, and the music genre. 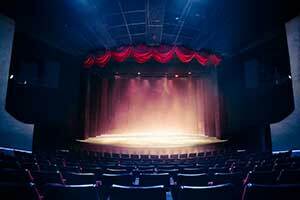 For theater, concerts, and live performances, short-term liability coverage is an excellent option. Entertainment insurance brokers work with entertainers in all types of professions, such as production, touring, staging and rigging, and special events. However, not all insurance brokers offer the same level of service and commitment to their customers. It is important to take your time and find an entertainment insurance broker who is willing to find you a policy that meets your unique needs and budget. When shopping around for an entertainment insurance broker, there are certain qualities you should look for. Reliable: Choose an entertainment insurance broker who is reliable and that you can trust to provide you with the best coverage at a fair price. Some brokers are only out to get a commission. Work with a broker who will work hard to earn your trust and listen to your needs. Credible: Avoid brokers who simply try to push insurance products on you the moment you walk in the door. Instead, hire an entertainment insurance broker who takes the time to get to know you and learn about your profession. From this information, the broker can choose insurance products best suited for you. Honest: Some insurance brokers will say anything to sell a product. Good insurance brokers will be honest and tell you when a product may or may not be right for you. When you can trust your insurance broker you can maintain a long-term relationship. Accessible: When you are facing a hardship, you want to know that you can get ahold of your insurance agent quickly. There is no excuse for your broker to not get back to you in a timely manner. Whether it is by phone, email, or even a text message, you want to have an open line of communication with your broker. Knowledgeable: A good entertainment insurance broker should not only know how to sell a product but should also know about the product they are trying to sell. This includes all legal and tax aspects of the product and why it is a good choice for that specific client. Motivated: Choose an insurance broker who is motivated and seems excited about working with you. The last thing you want to do is work with a broker who seems overworked or worn-down as this will lead to a lower level of customer service then you deserve. Persistent: Persistence can be a good quality if it is demonstrated in the proper way. If you are not able to find a policy that fits your needs the first time you talk with your entertainment insurance broker, he or she should be persistent in finding you a policy that works. While it may take time, a quality broker will not just give up but continue trying until they are successful. Versatile: Avoid insurance brokers who are only willing to give you information on a limited number of products. When shopping for entertainment insurance, you should have access to a comprehensive selection of products and services. After wading through all of the entertainment insurance brokers in your area and narrowing down your top choices based on your necessary qualifications, you will want to reach out to them to learn more. 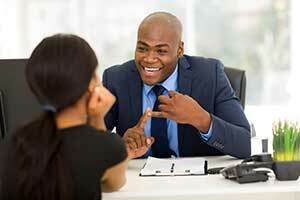 Take the time to interview each candidate before deciding which is best for you. As a professional in the entertainment industry, it is important to only work with a broker that you can trust to bring you the best insurance products based on your unique needs and what is most cost-effective for your business. To learn more about entertainment insurance, contact the insurance experts at MFE Insurance Brokerage.